Workshop Platica for the community! 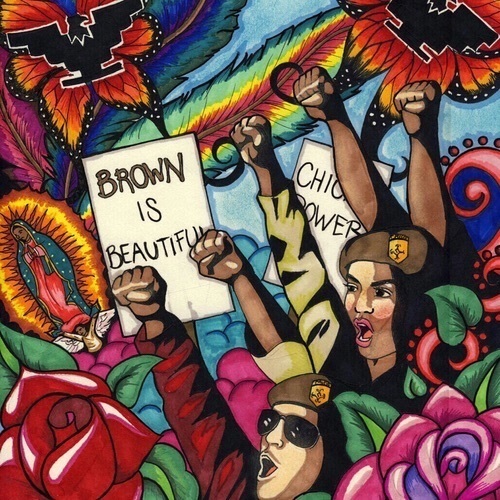 Chicanx psychology research has shown the importance of a strong ethnic identity for Chicanxs. In this workshop platica we will discuss how we learn about our ethnic identity; how we can promote and facilitate pride in our heritage and background as Chicanxs. Decolonization is a necessary part of building a positive Chicanx Identity. Decolonization allows us to recognize our passed down cultural strengths and oppose society’s negative images. We will discuss ways we can begin to decolonize our identities This is the role of Chicanx Psychology – to contribute to our community’s liberation and healing. Discounted Rate: $15 – For those who have already attended at least 2 events, your fee is discounted for the next year. Please Register at the “STORE” tab on the main page of Institute of Chicana/o Psychology!